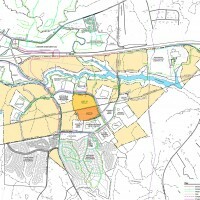 In 2005 the Guilford county industrial space was in short supply. Rock Creek Center had flourished in the 1980s and 1990s, landing companies such as Konica, Carolina Biological Supply and Legacy Furniture, the pension fund which owned the park appeared to lose interest . The pension fund would no longer construct building speculative warehouses for potential tenants, activity at the park slowed. The Development Team formed a partnership to acquire and resume active development of Rock Creek Center in 2005. 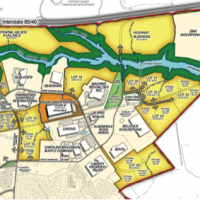 The Development Team worked with Stimmell and Associates to create a comprehensive land use strategy. Comprehensive site investigation included documentation of wetlands, geo-technical investigation, slopes analysis, zoning, utilitiy maps, and other data. 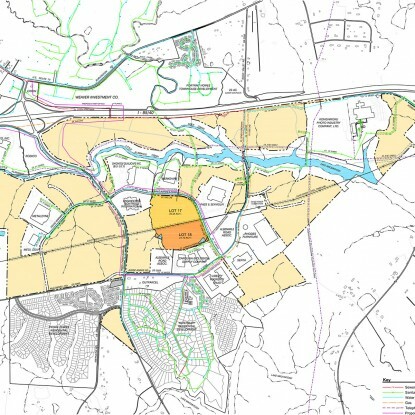 The resulting Master Plan provide a clear road map for the most efficient development of the sites. 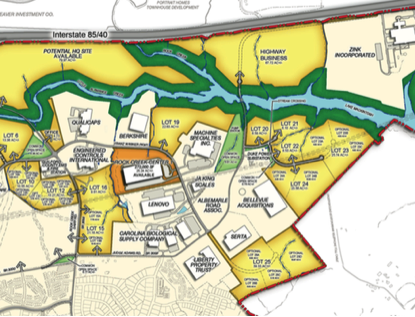 The Development Team used the Master Plan and accompanying data to select two sites for speculative development. The first site was sold prior to completion of grading and developed into the now 300k sf Lenovo Center. The Development Team graded and speculatively developed the second site with a 272,000 sf industrial building that is now fully occupied.